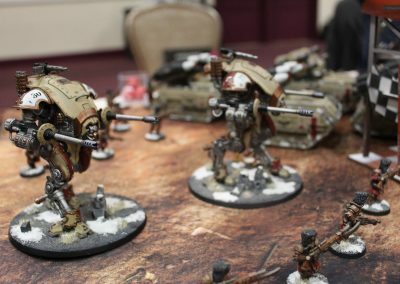 What a fantastic Las Vegas Open, filled with great games and great drama as Brandon Grant (Imperial Soup) was victorious, finally taking the crown of LVO and ITC champion to the American West Coast! 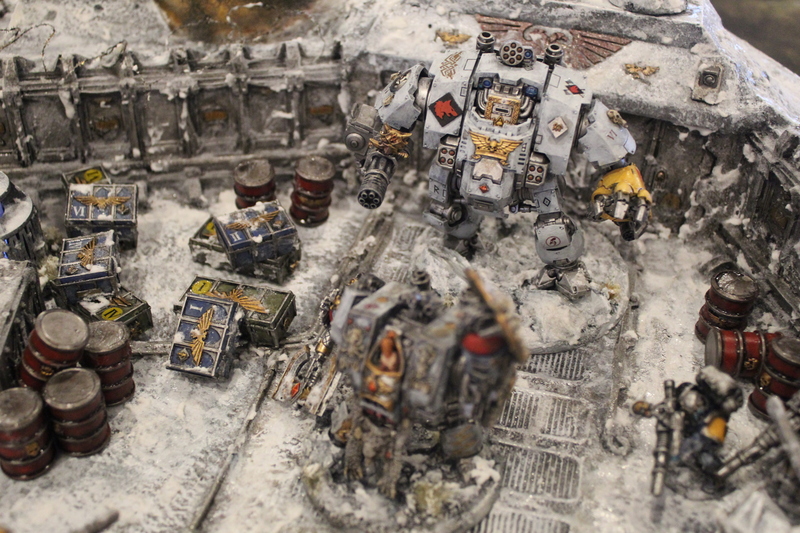 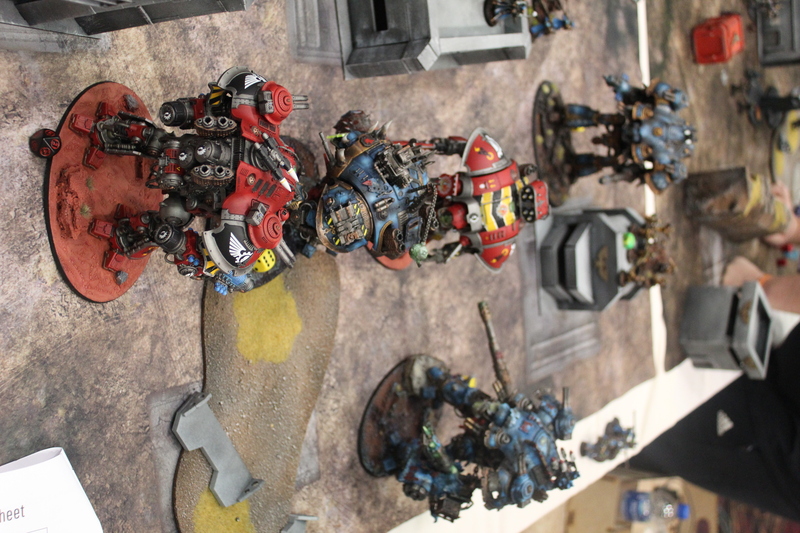 While LVO didn’t have the crazy drama of last year, it did have actual drama when it came to the games themselves, with Brandon Grant needing a few clutch single rolls to secure victory. 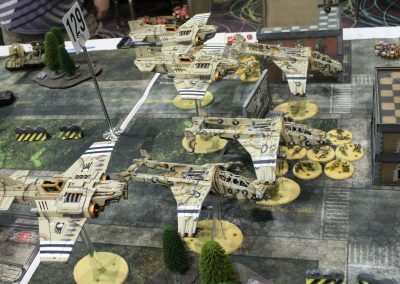 More importantly the victory meant, that accused international cheater Alex Harrison (Ynnari Flyers Spam) was denied possible redemption. 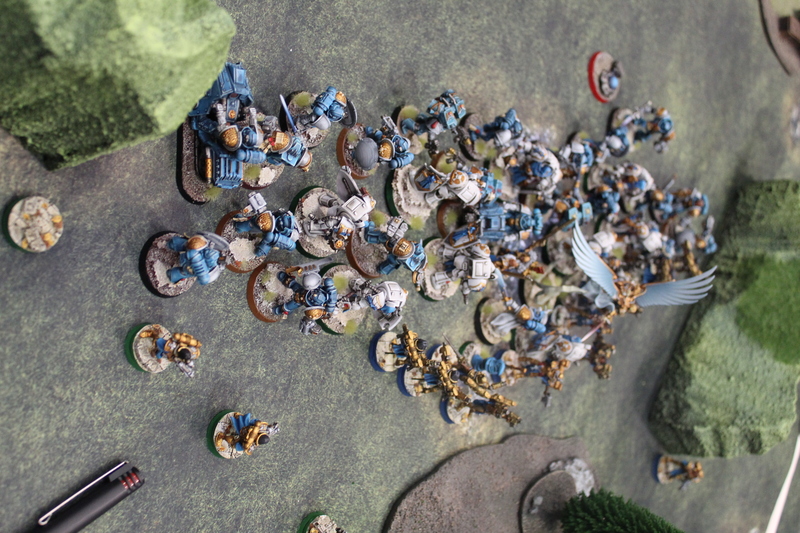 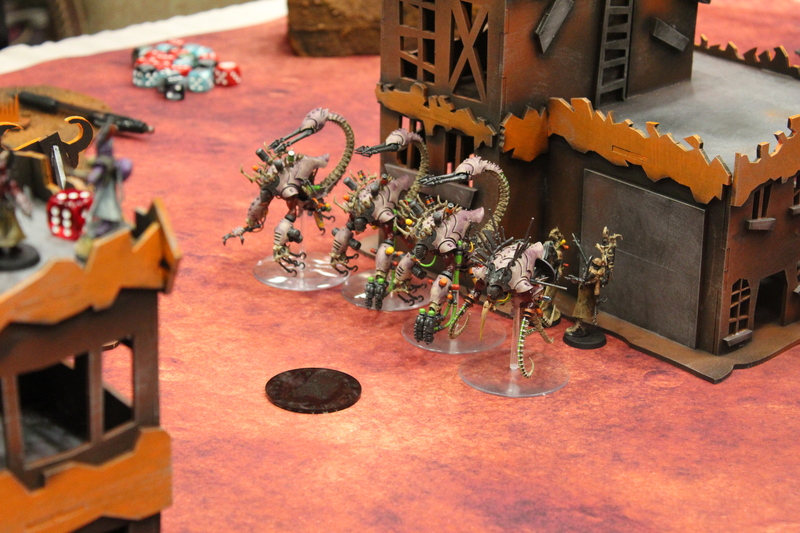 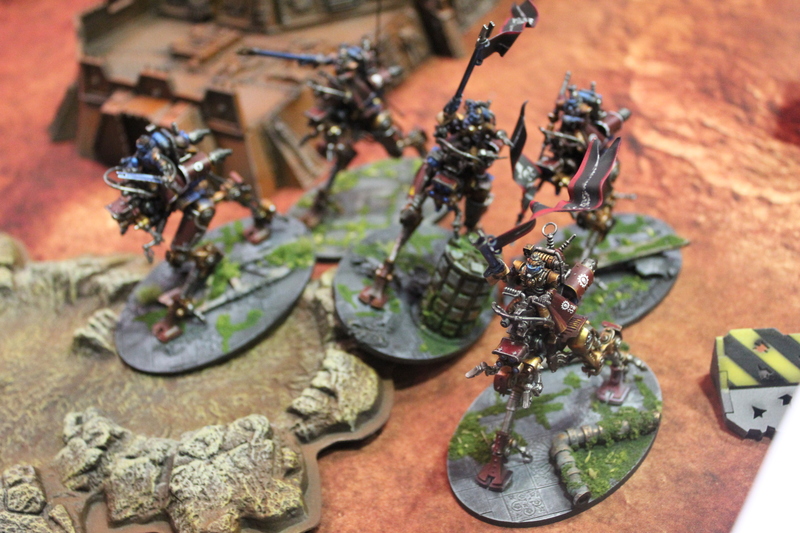 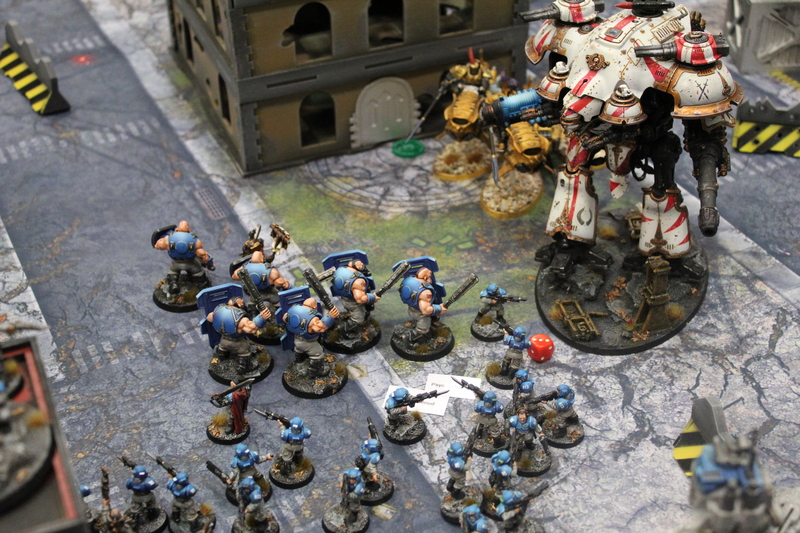 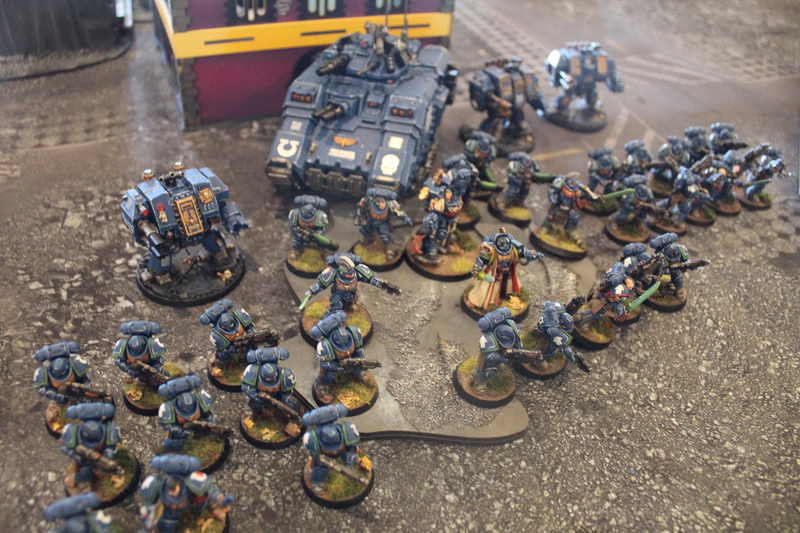 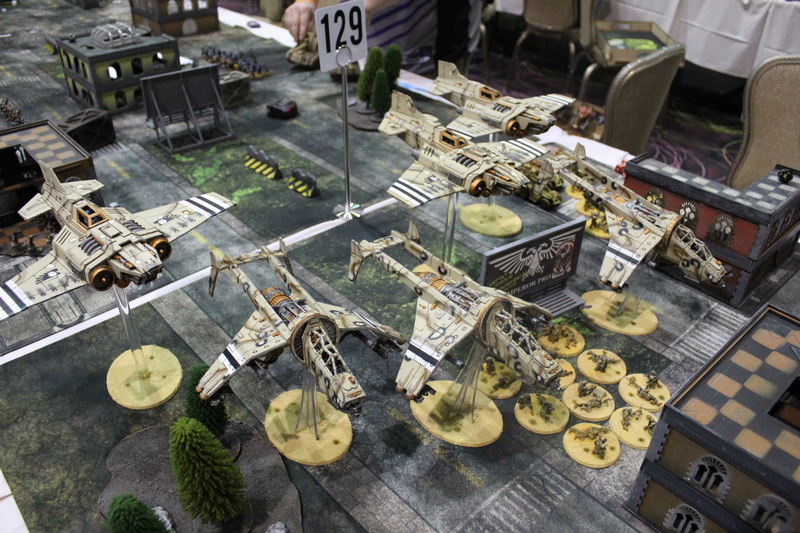 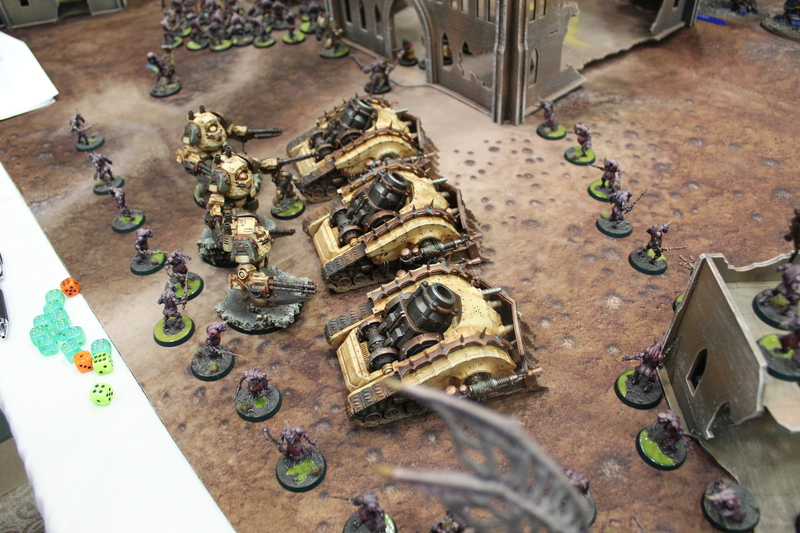 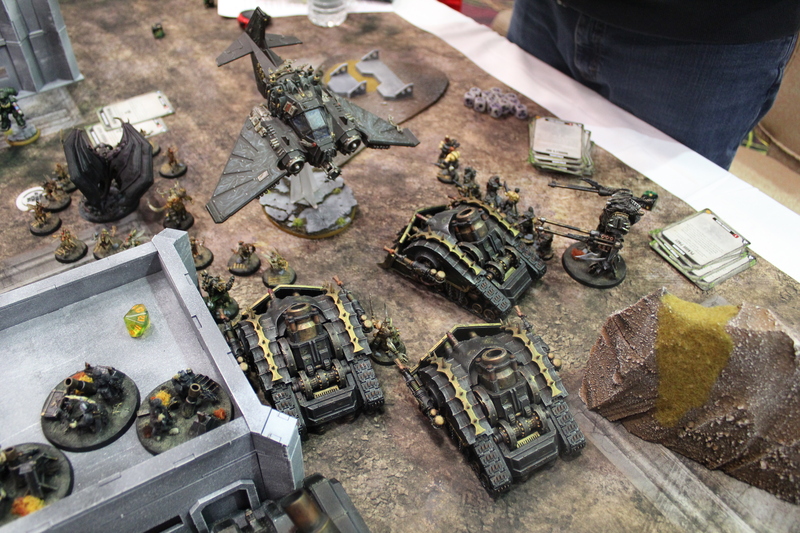 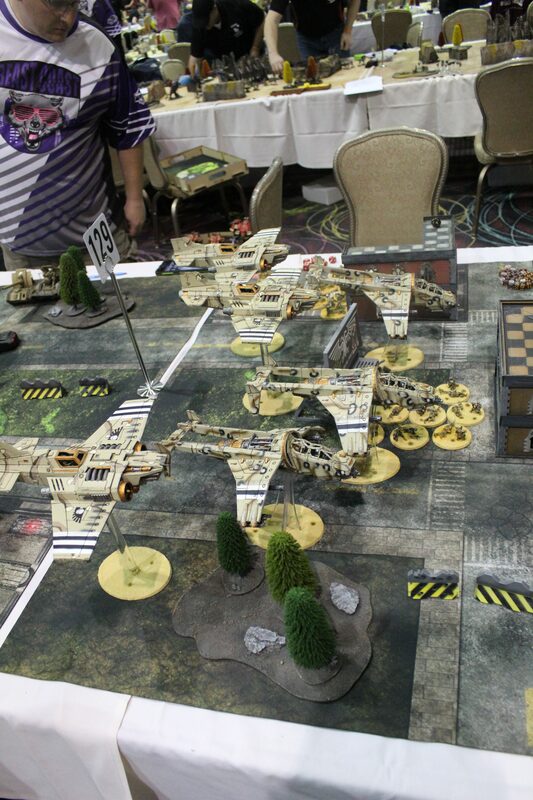 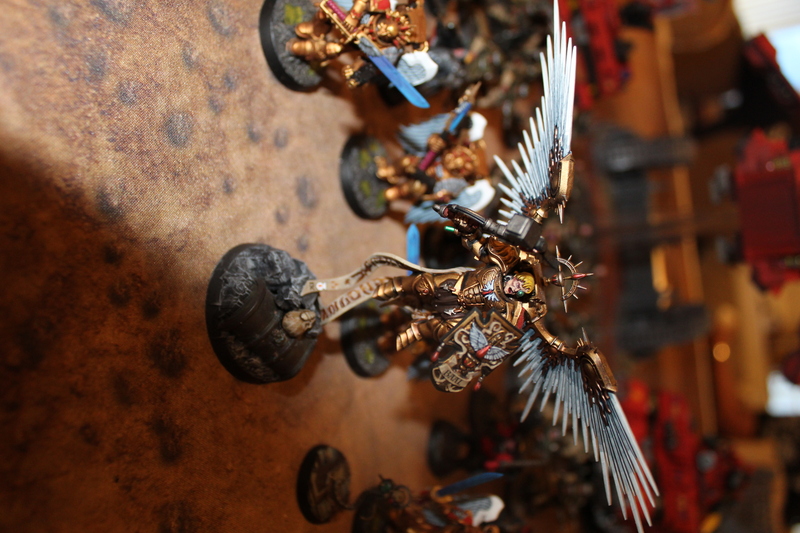 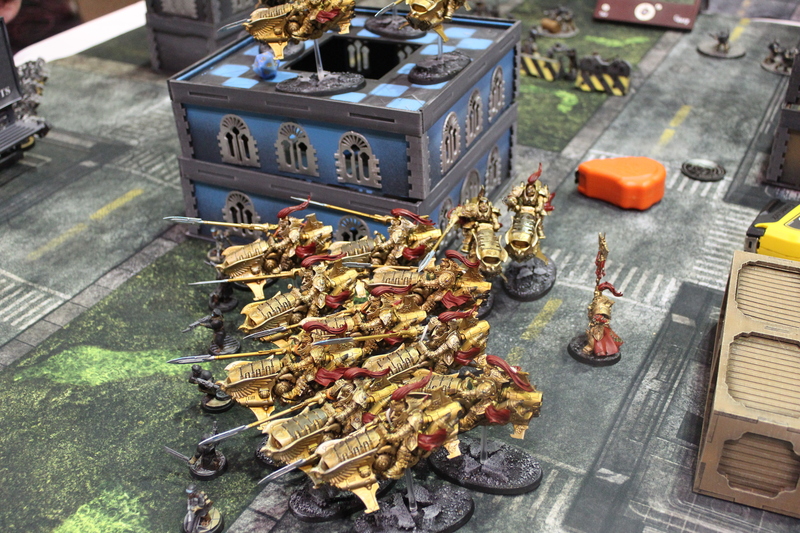 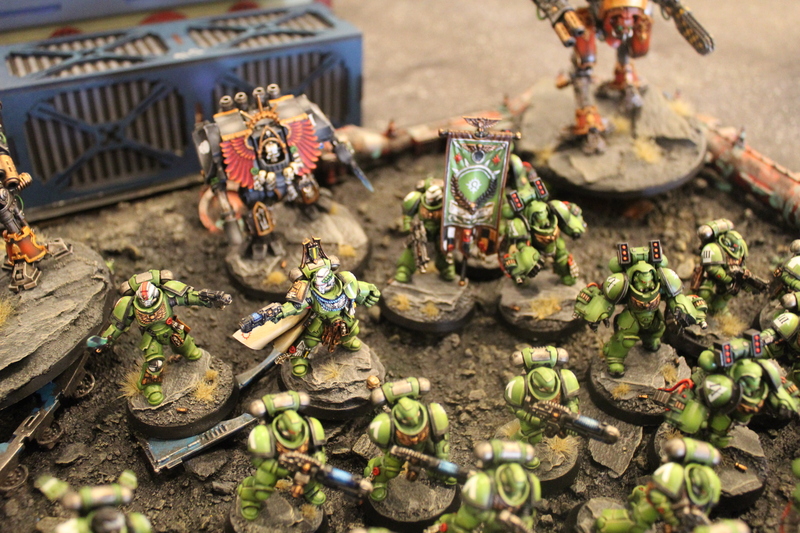 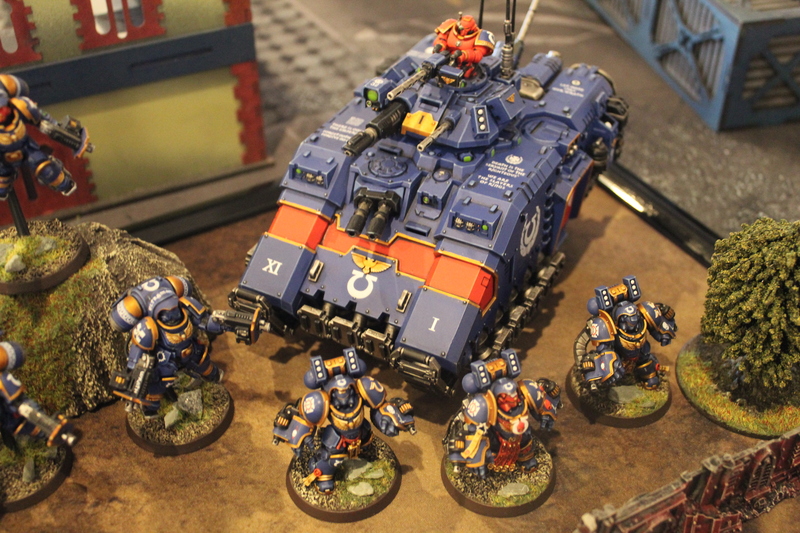 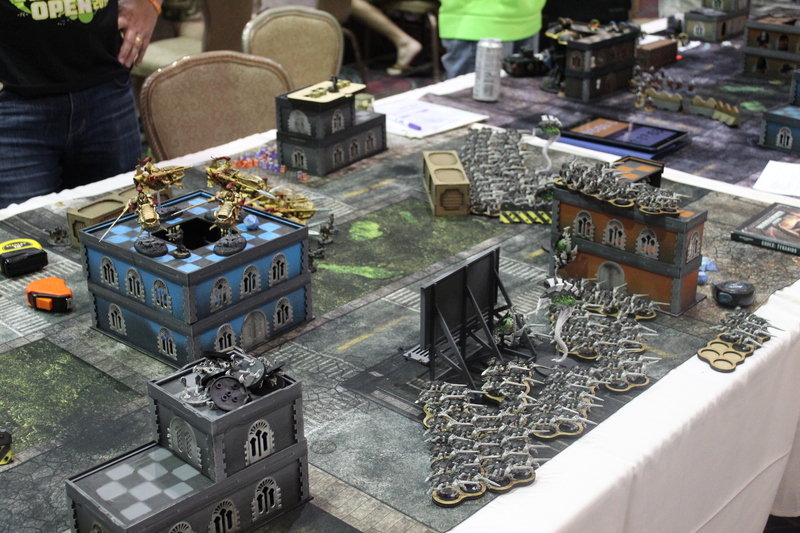 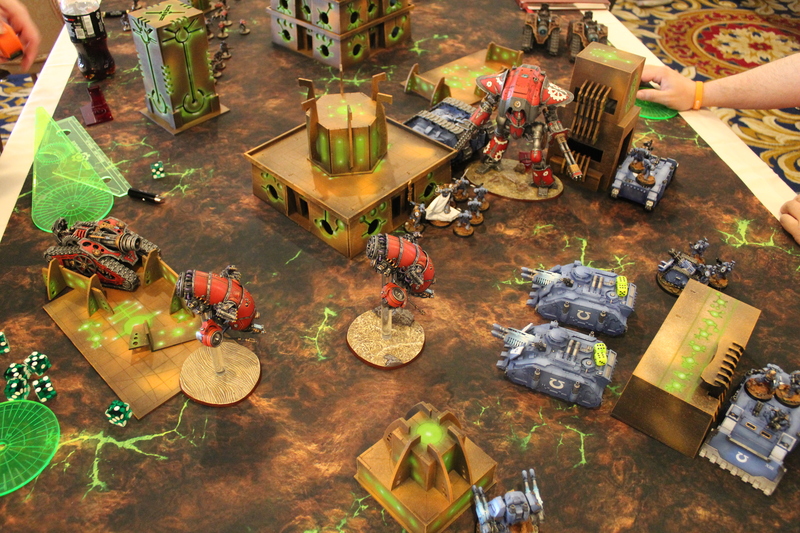 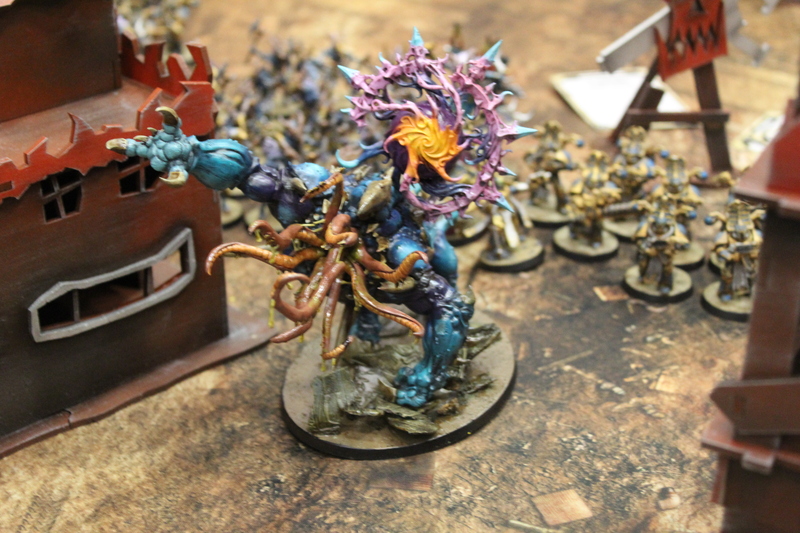 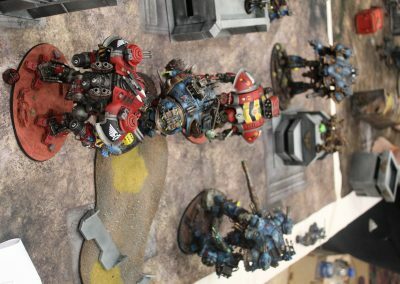 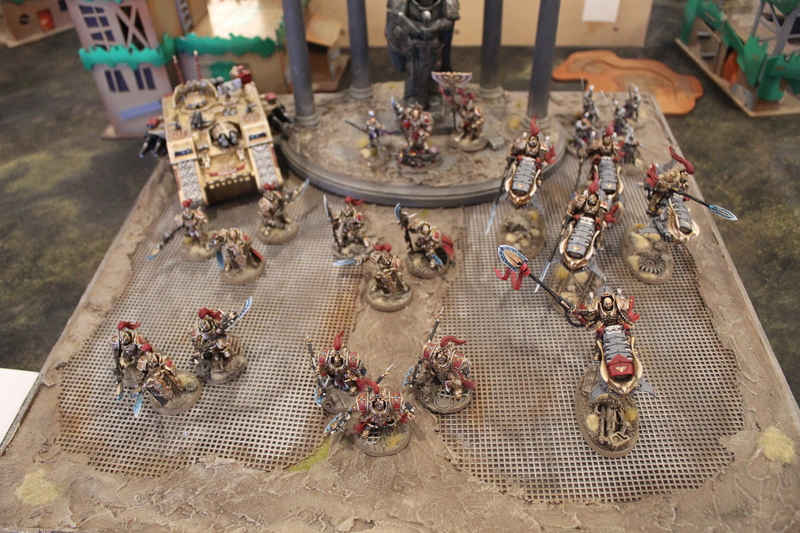 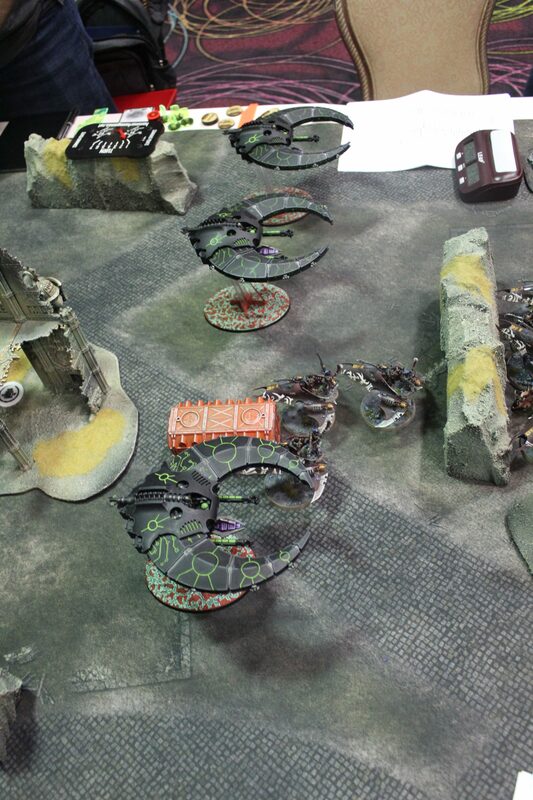 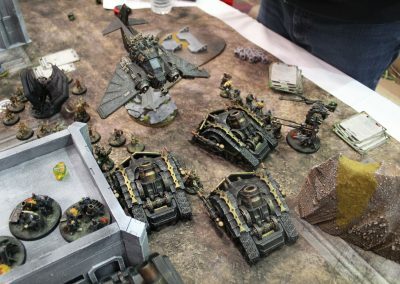 The LVO 2019 saw some other in game drama with a bonus 6.5 round for the 4-12 ranked players going into the championship rounds. 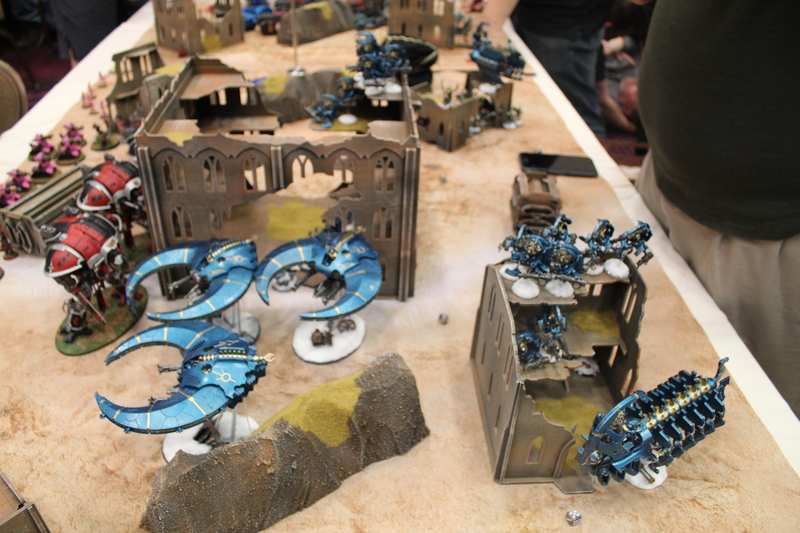 This was also the smoothest LVO I have ever seen (minus the Age of Sigmar championships) with only a minor delay to start round 1 of the championships. 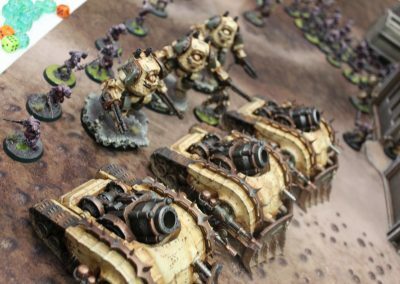 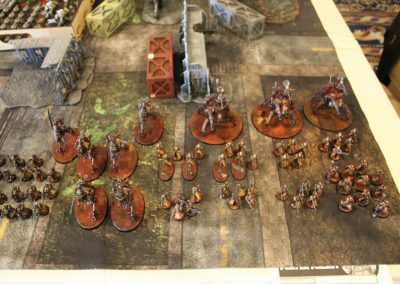 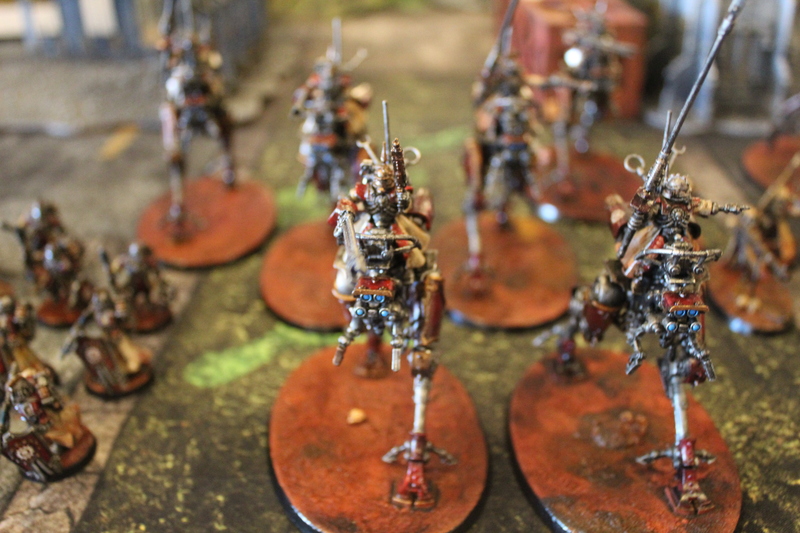 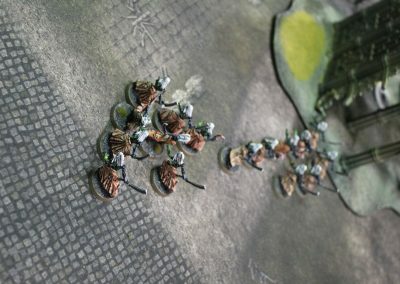 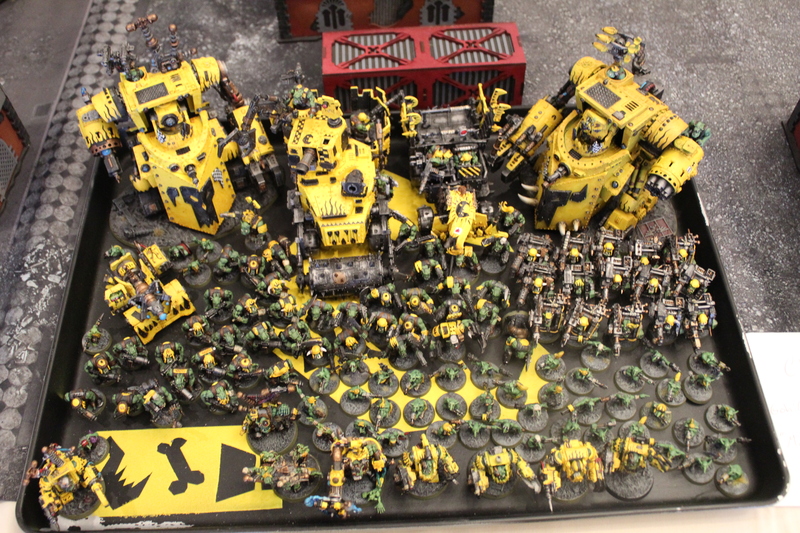 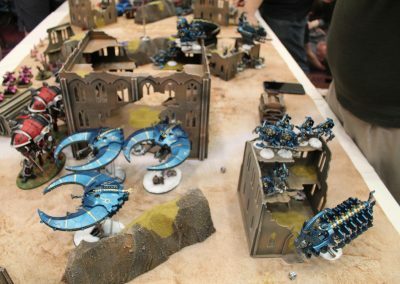 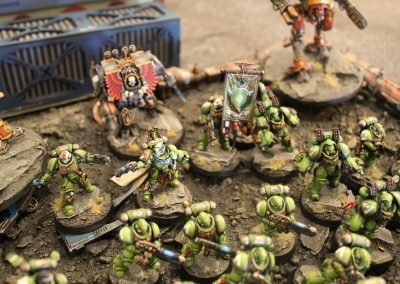 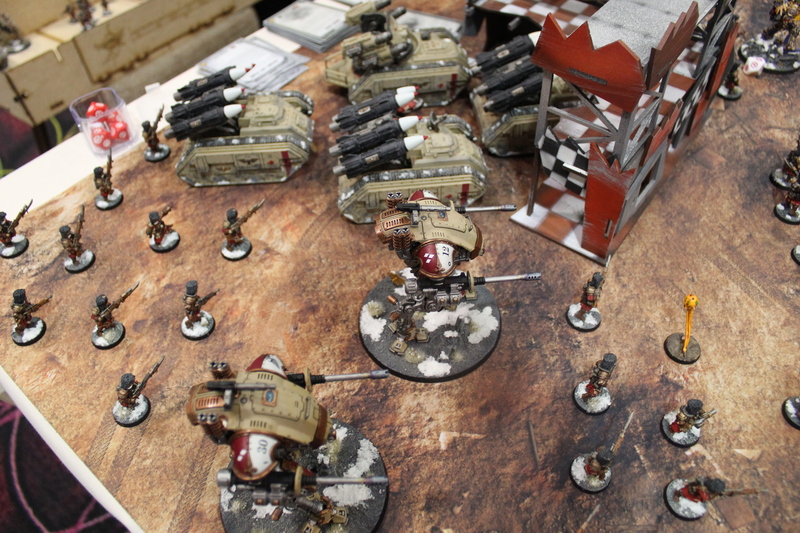 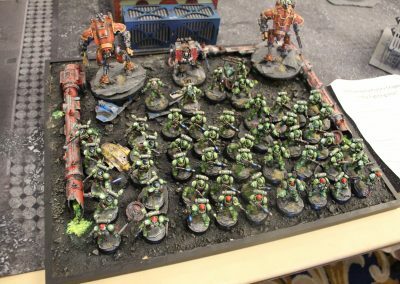 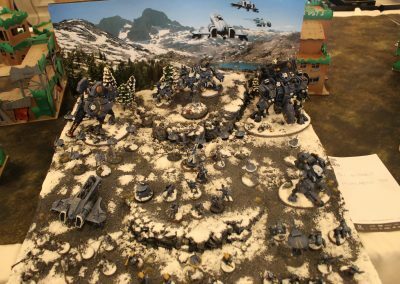 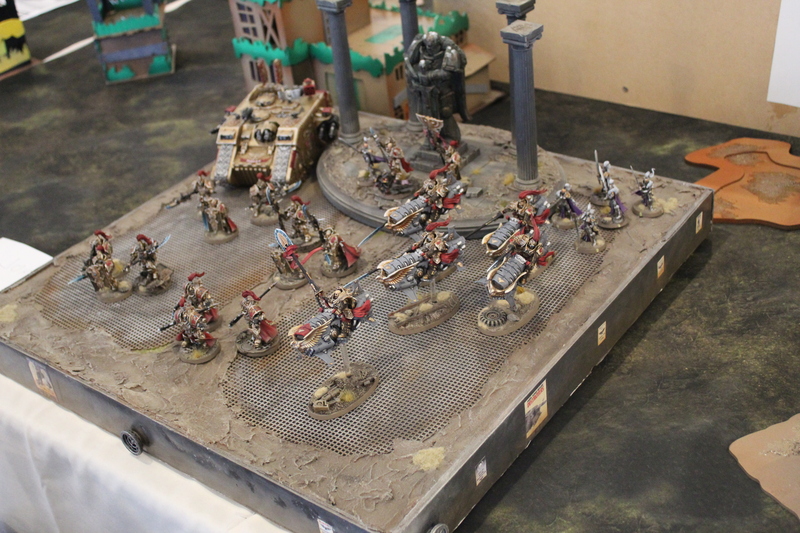 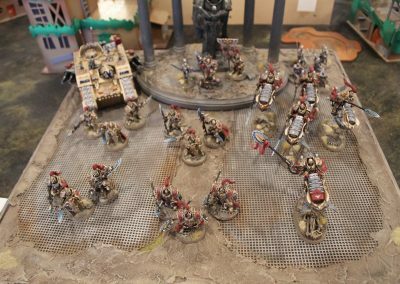 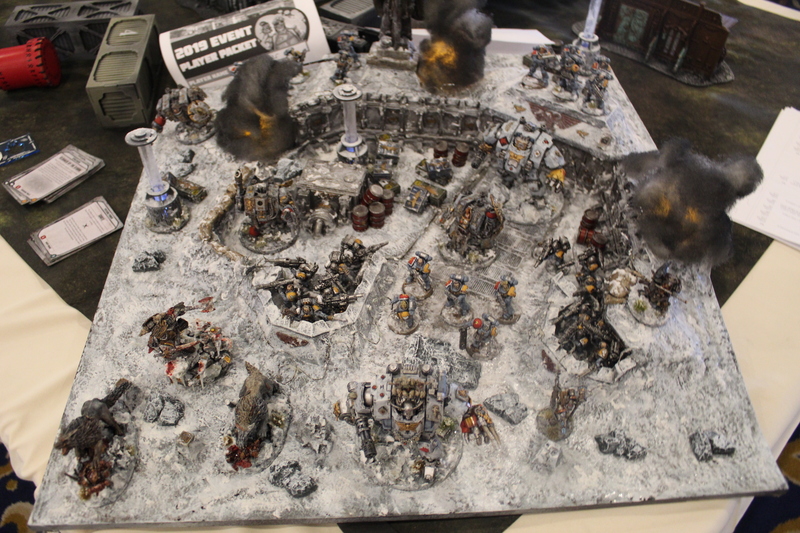 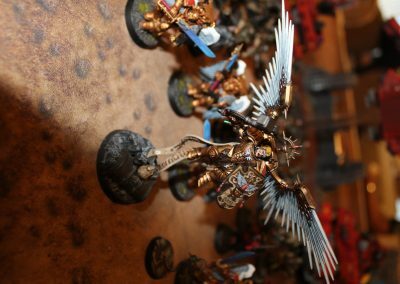 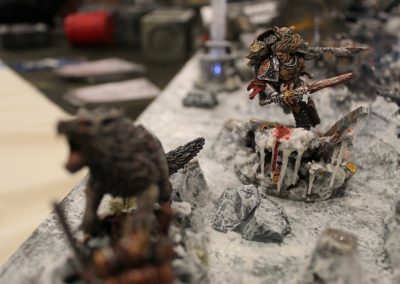 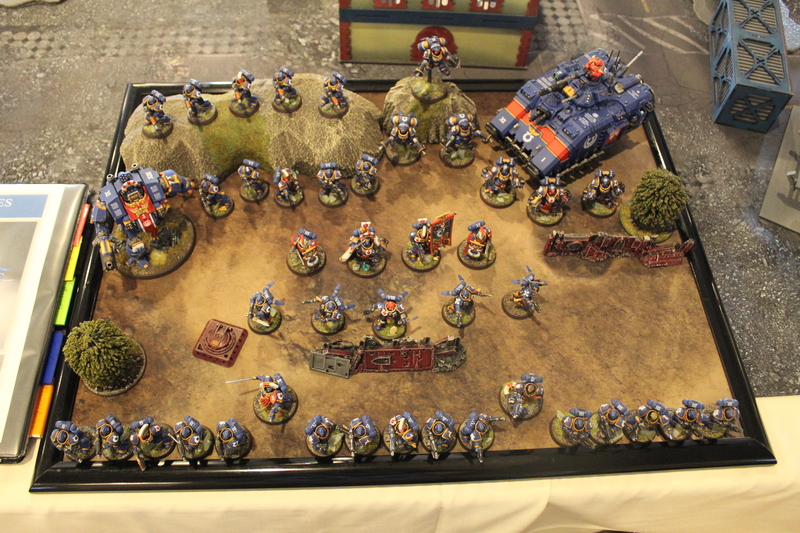 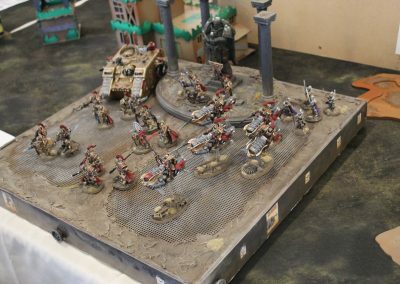 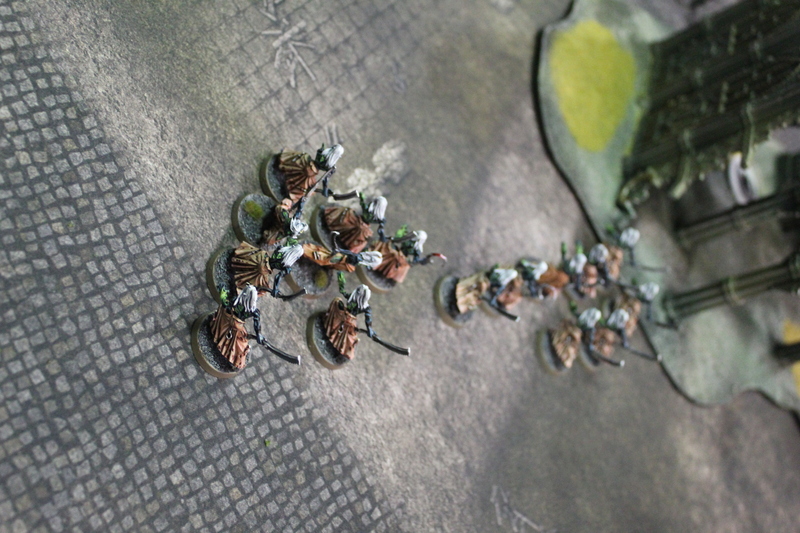 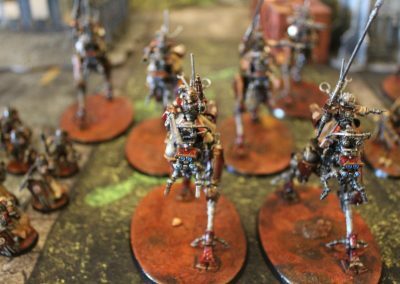 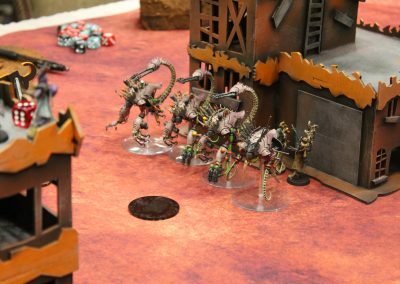 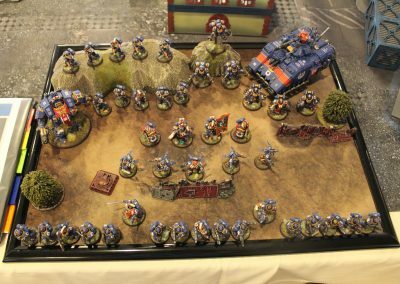 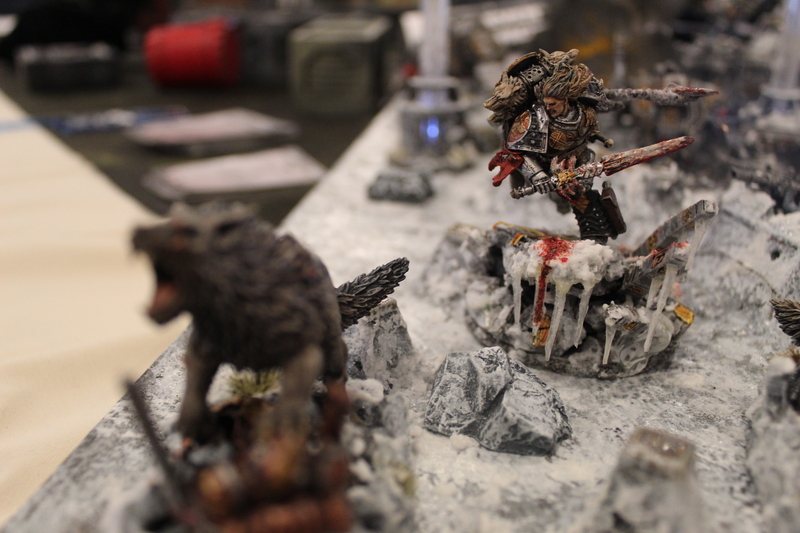 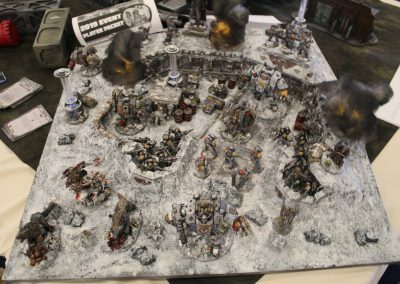 If there was a complaint from participants it was some tables lacked enough LOS terrain, leaving a few armies prone to wild swings. 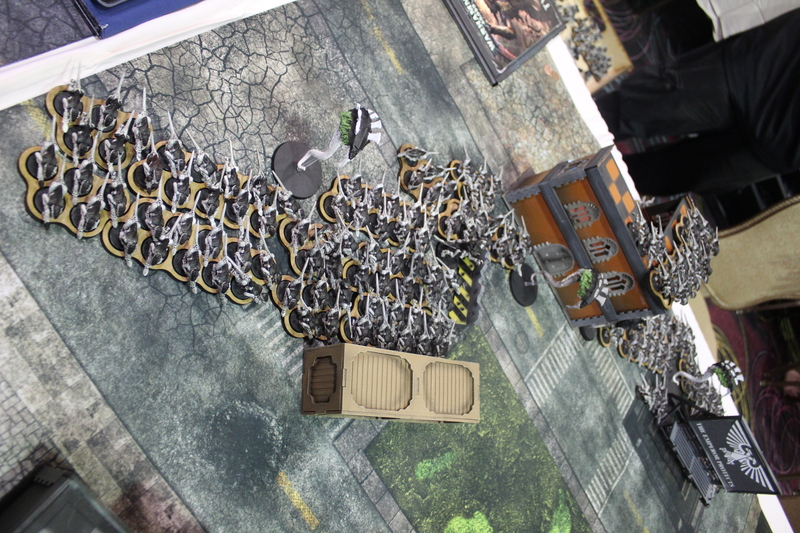 I have to say the best wrinkle in the entire event was the use of a Fifa style system of Yellow and Red cards. 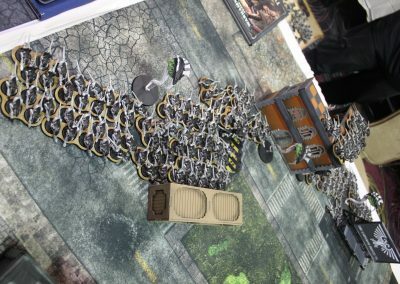 Any player who got 3 yellows or a single red card would be automatically kicked out of the event. 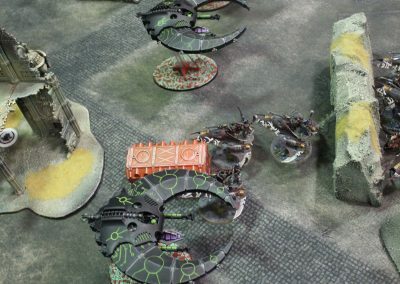 This meant funny enough that even a beloved sportsman like Alex Fennel was issued a yellow card for “slow playing”, and few players even got 2 yellow cards, with a especially a hilarious episode of someone getting caught trying to cheat the paint score. 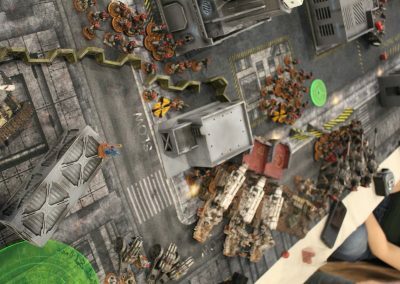 The new system was by all measures a great success as the judge team didn’t care who or what you did, if you broke the rules you were carded. 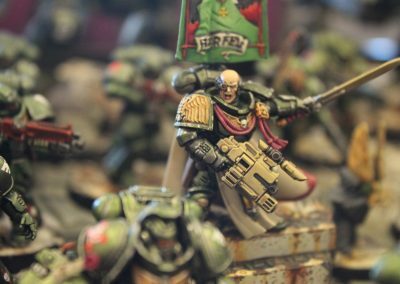 My only complaint from the event and something I have noticed becoming a bit of an epidemic is chipmunking or reverse chipmunking. 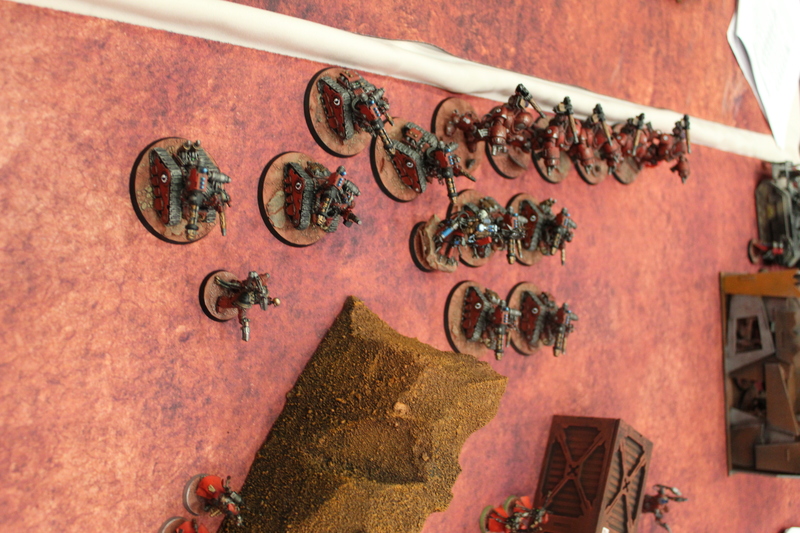 This happens in any system that has points as a variable for standings and match-up. 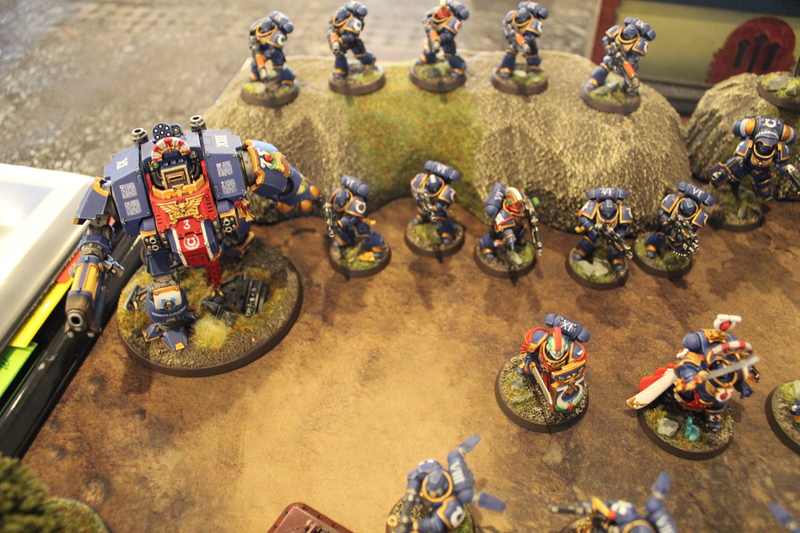 Far too often I witness opponents deciding on what point scores to give to each other after a game has been decided. 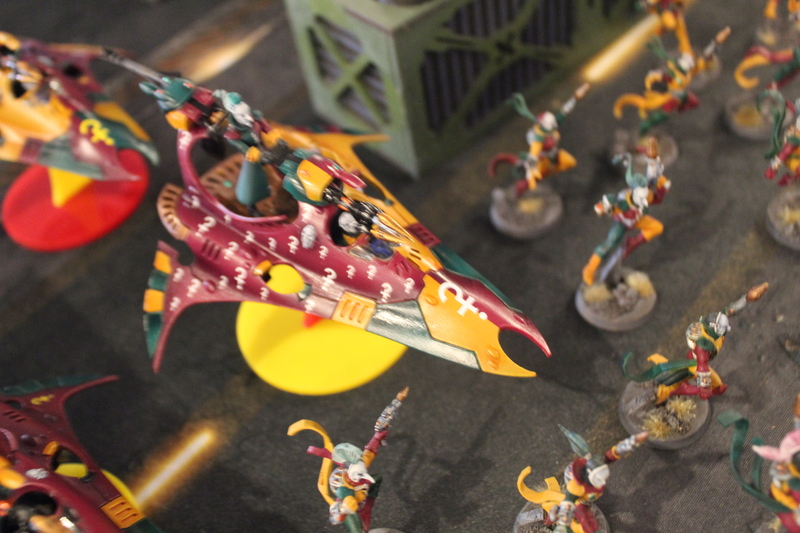 Many players would try to avoid high scores to submarine their way to higher standings, while other players asking for higher scores even if it was unwarranted. 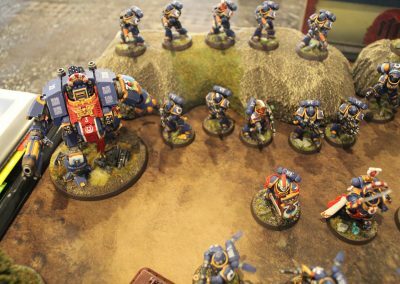 Now this did not mean players were picking winners or losers it just meant the winners would dictate or convince an opponent of a score that might not be the case if the game was played to an actual conclusion. 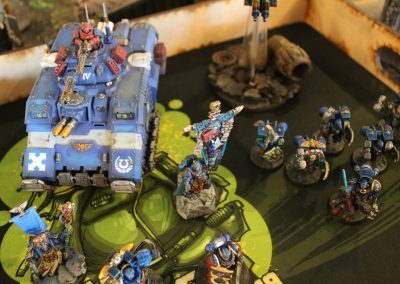 The judge team was slightly aware of this, as they would call up any suspicious games and have each player explain the scores. 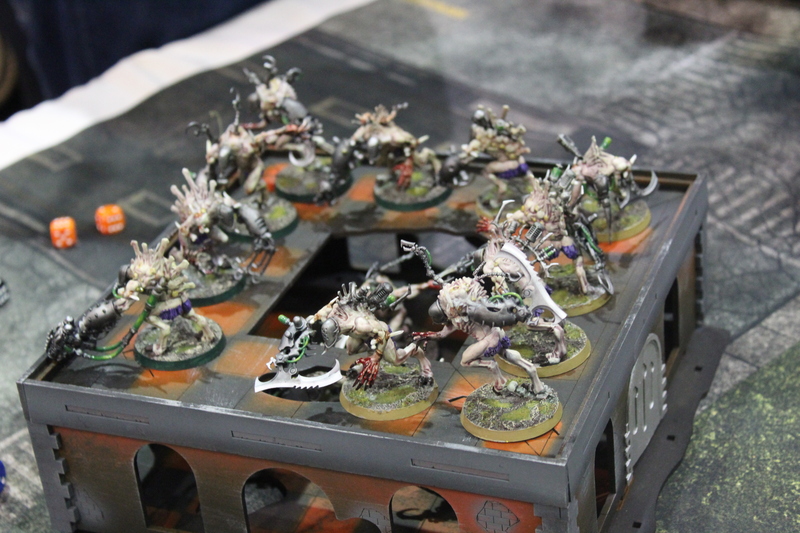 One such case had a player trying to get a total score 50 out of 42 possible. 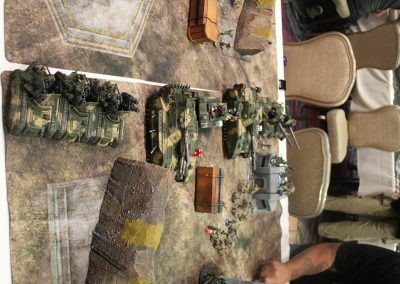 Why this is so important can be illustrated, by LVO having to use a bonus round to get a perfect top 8 group for the championships. 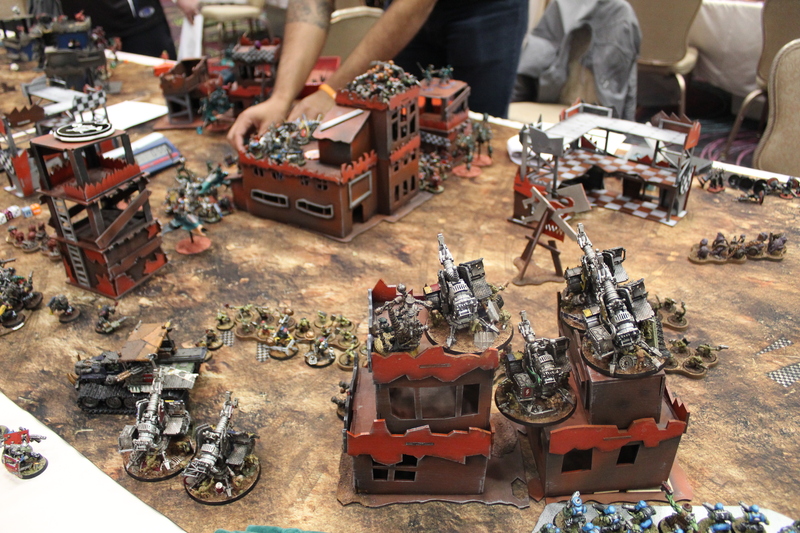 It was the difference between some players having or not having to play extra rounds. 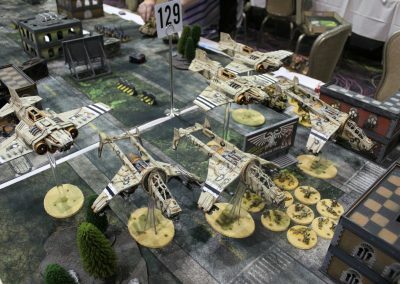 Chipmunking has been happening forever, especially when battle point events dominated the scene over 10 years ago, now it is back for the largest events. 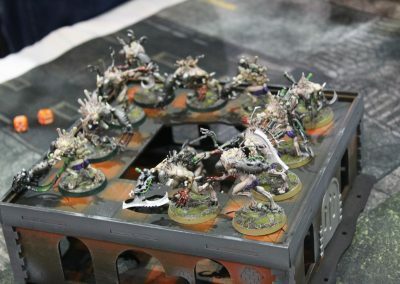 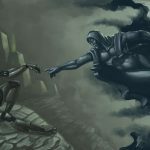 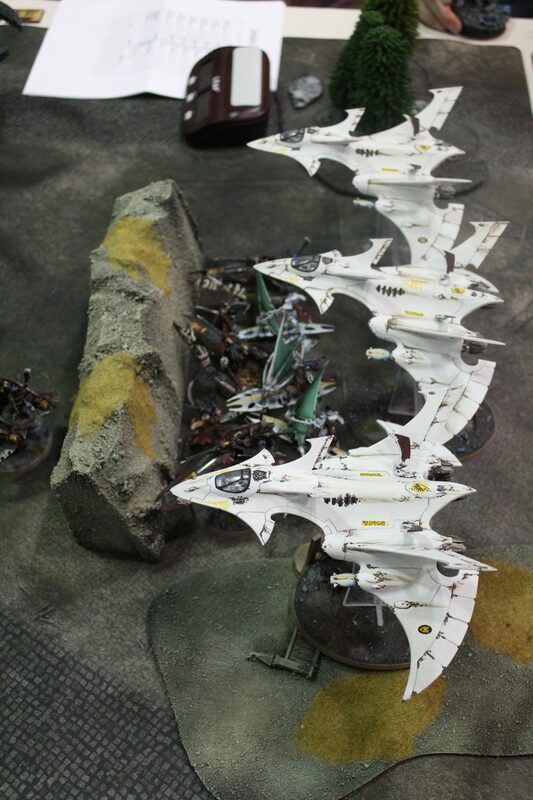 It is also a very easy slippery slope to collusion, as with what happened with the Age of Sigmar LVO 2019 Championships. 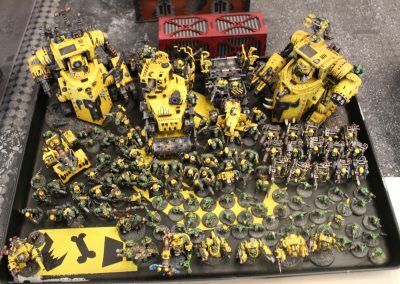 Worse, their isn’t a really good solution besides random judge policing, but as the community and events grow this is going to be harder and harder problem to get a handle on. 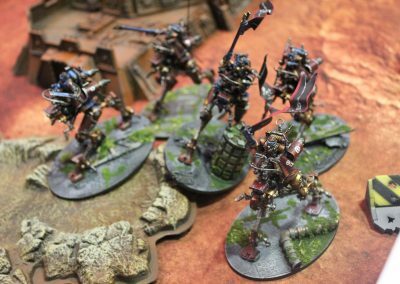 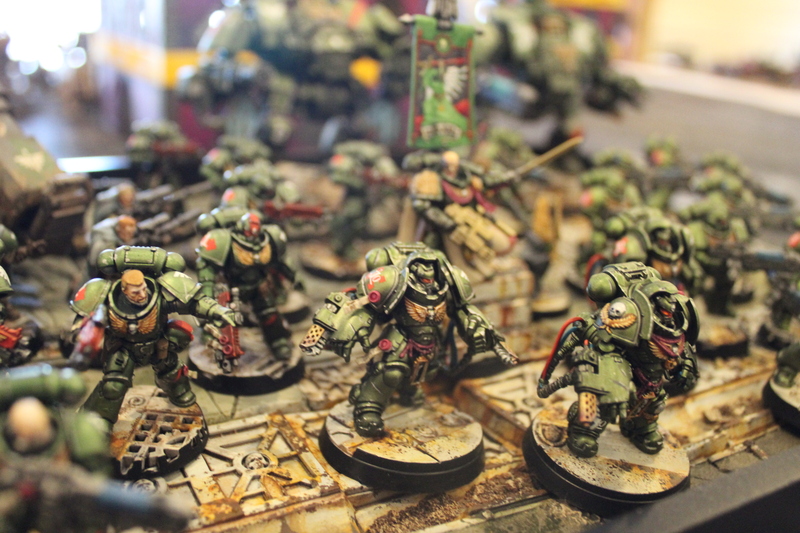 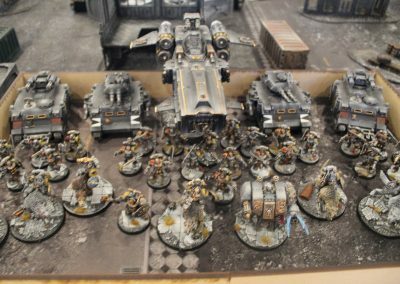 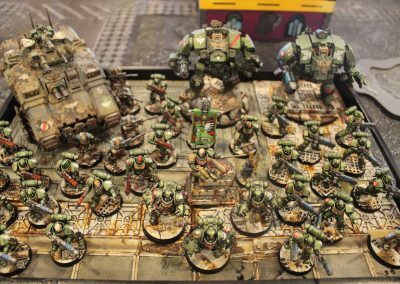 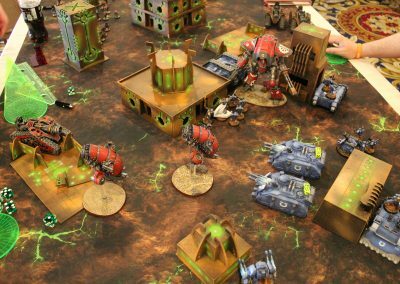 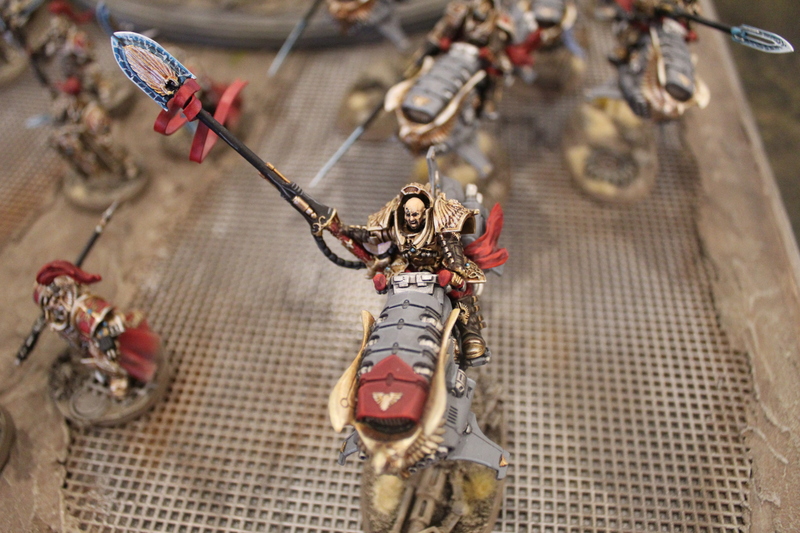 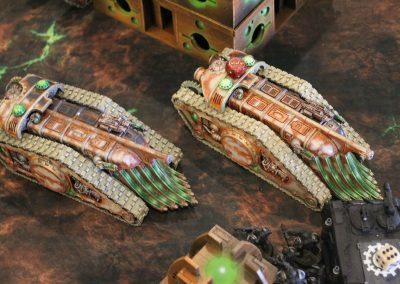 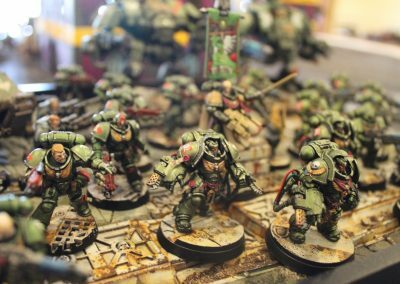 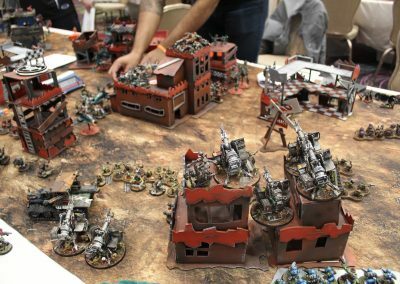 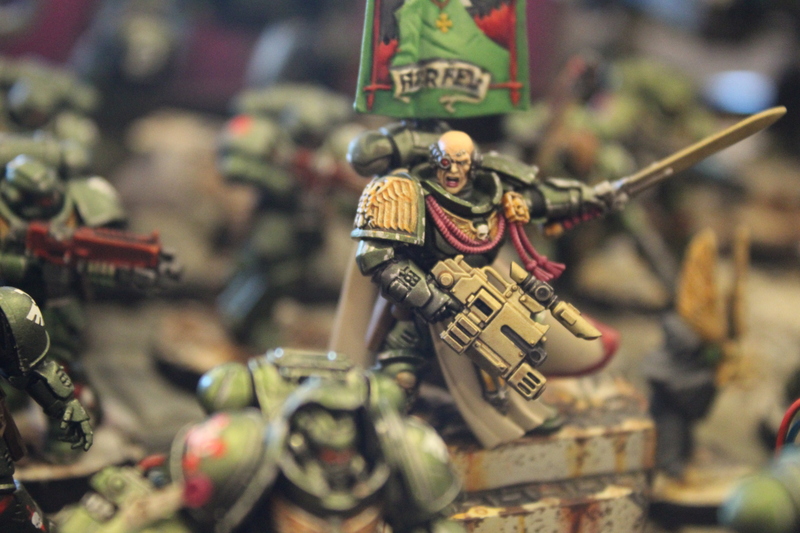 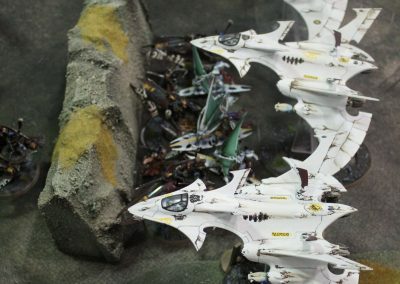 What does the LVO results mean for the state of the game itself? 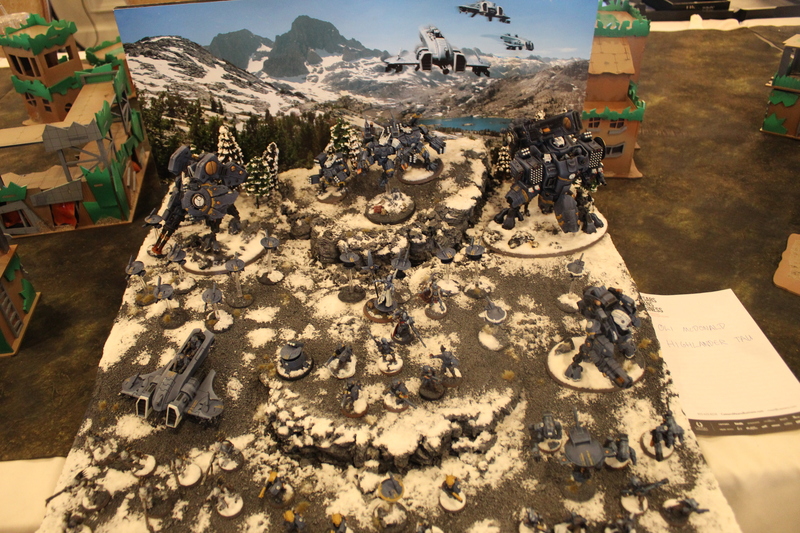 Well…this is where things get a lot more cloudy. 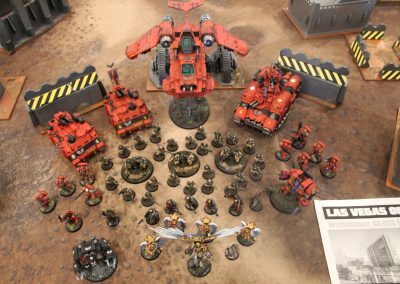 Games Workshop cannot be thrilled with 6 out of 8 finalists being either Ynnari soup or Imperial Castellan soup. 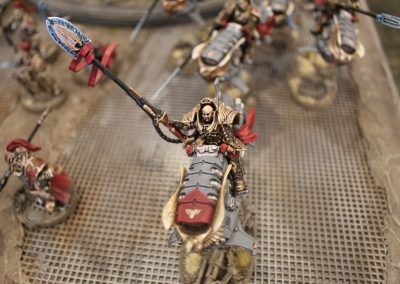 Even the minor tweaks from the last FAQ has done nothing to stop these lists. 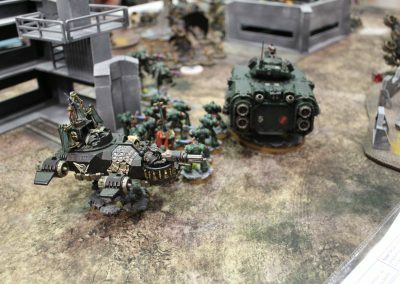 Like I said at the time Games Workshop learned the wrong lesson, the nerfs to assault armies and units wasn’t the issue. 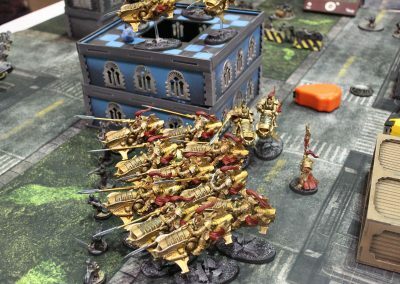 The problem was always Imperial Knights and a broken Ynnari soul bursting. 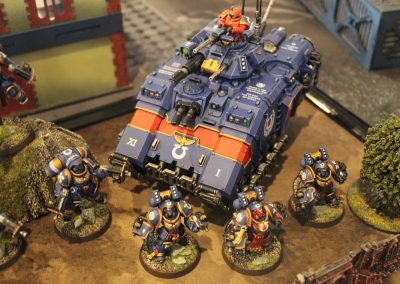 Castellans have to be brought to heel, simple as that, what the Castellan does beyond being the best unit in the game, is that makes so many other units completely worthless. 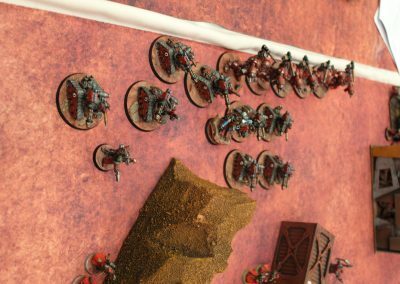 It needs a both a combination a point increase and not being allowed a 3++ save. 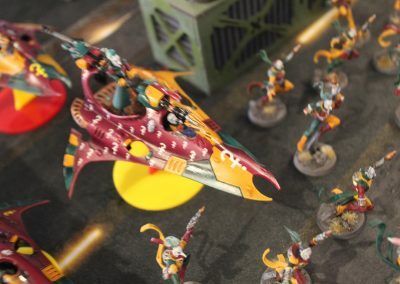 Then we have Ynnari which just needs a total rule rework, the basic problem is bad game design, you cannot have any army getting extra phases in the game, it is just too broken. 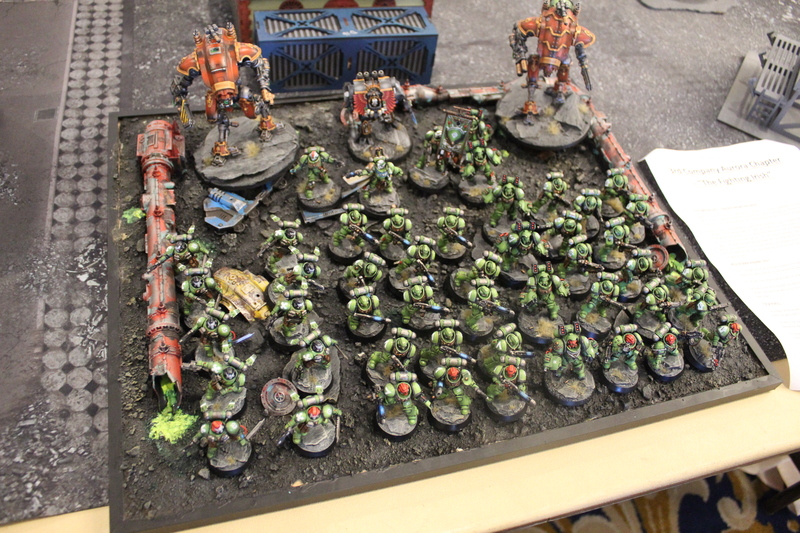 Beneath both armies is the powerful soups, which Games Workshop has repeatedly said they won’t touch. 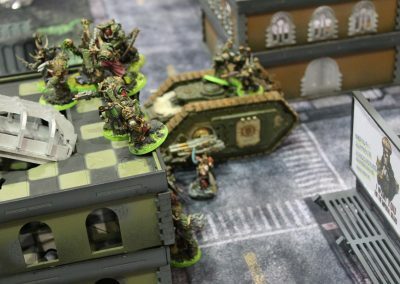 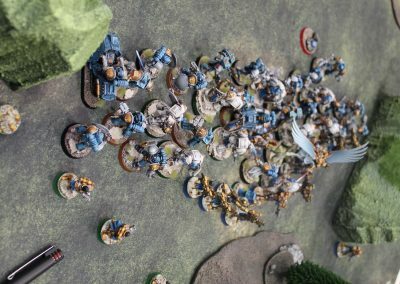 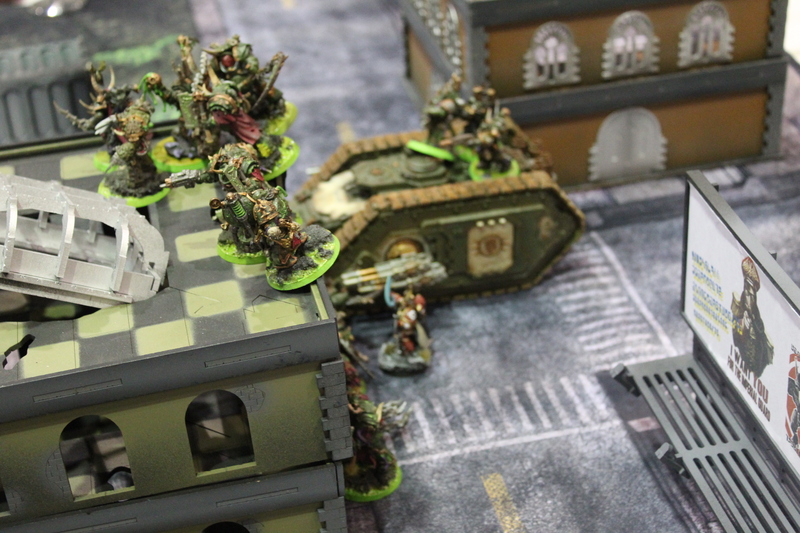 If Games Workshop doesn’t want to touch soup it might want to explore blocking off CP to each detachment, so you cannot just take 32 guardsman and get easy CP to be used on another detachment’s units. 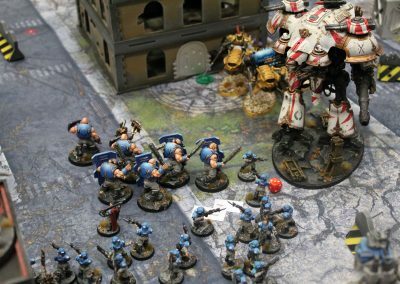 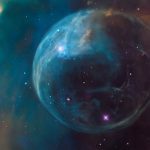 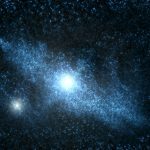 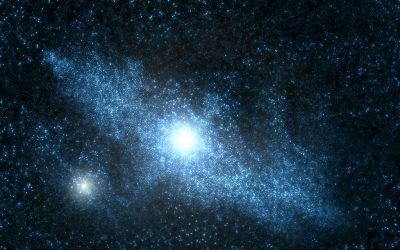 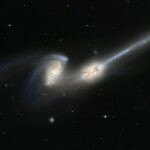 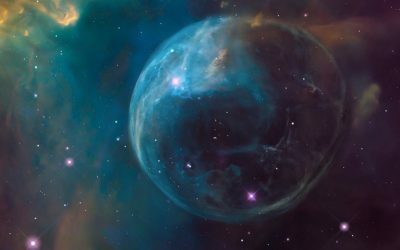 Luckily, we are only a few months away from the next FAQ and a few more White Dwarf possible rule changes to help fix the big list problems in the game. 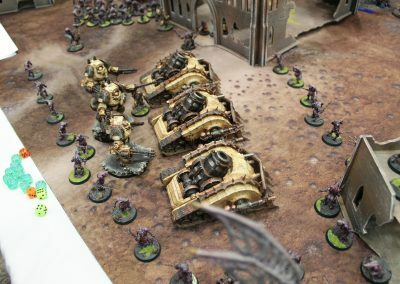 The best of all is we are SO close to an almost completely balanced game, except for these and a few other nagging problems. 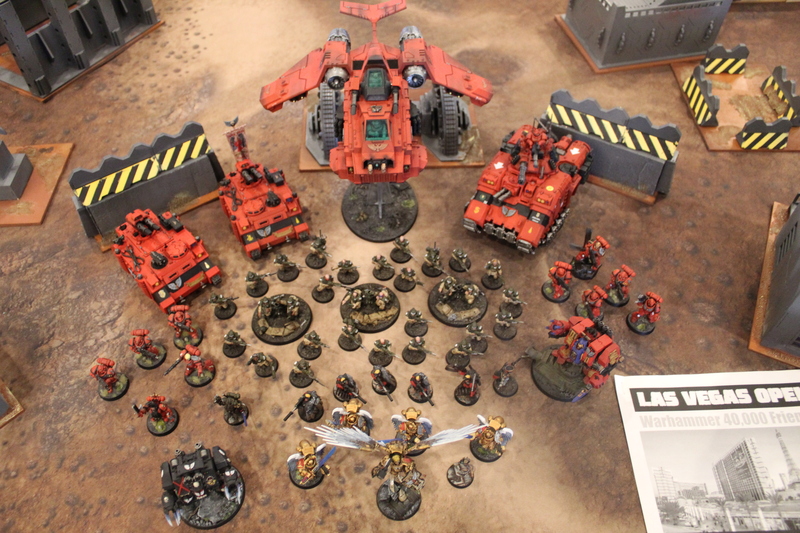 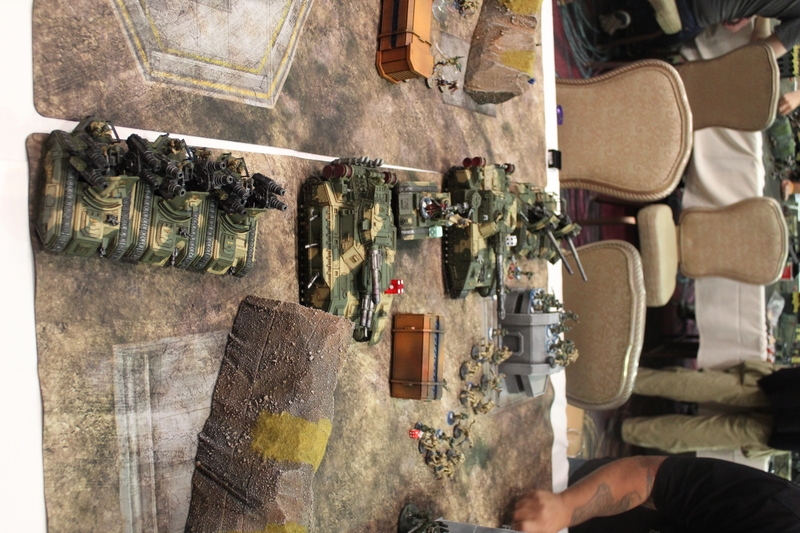 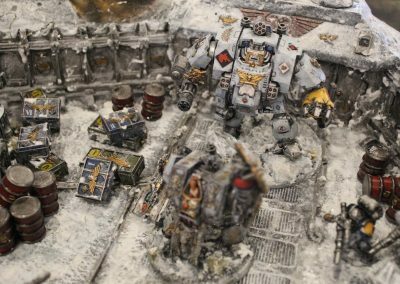 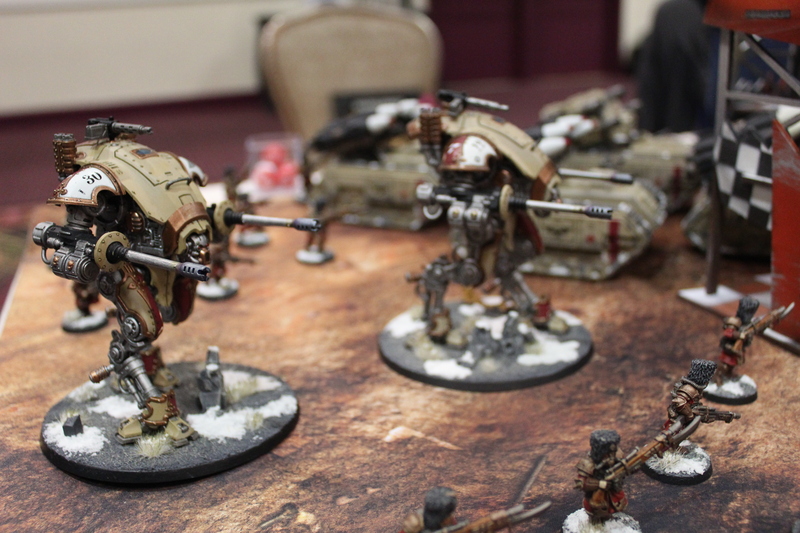 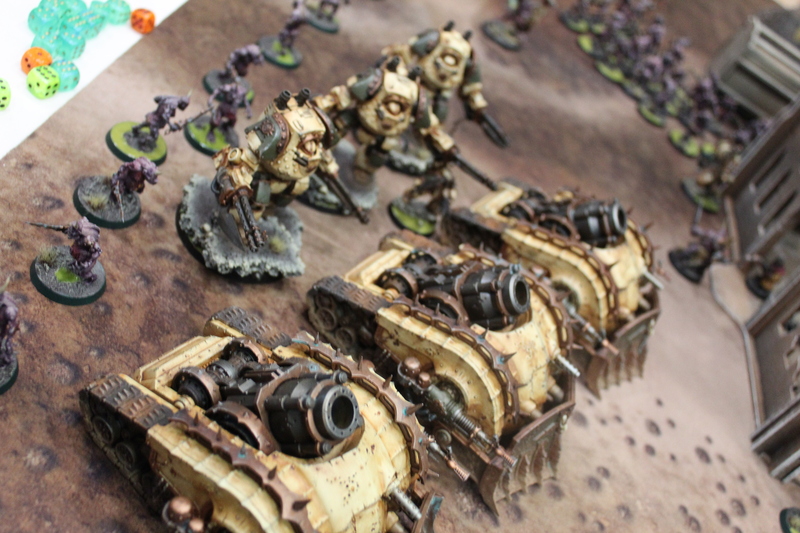 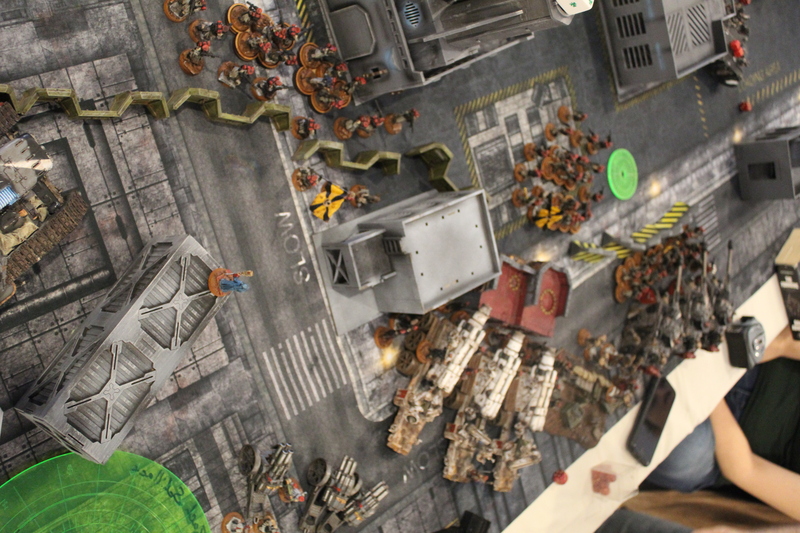 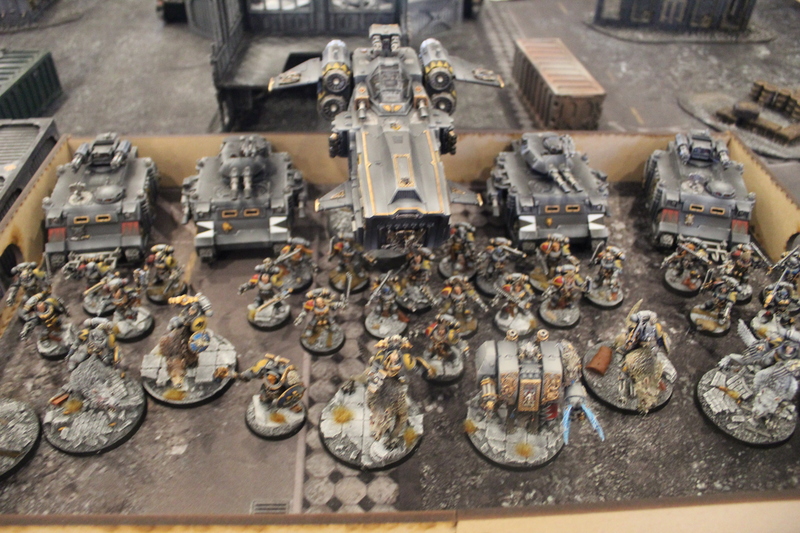 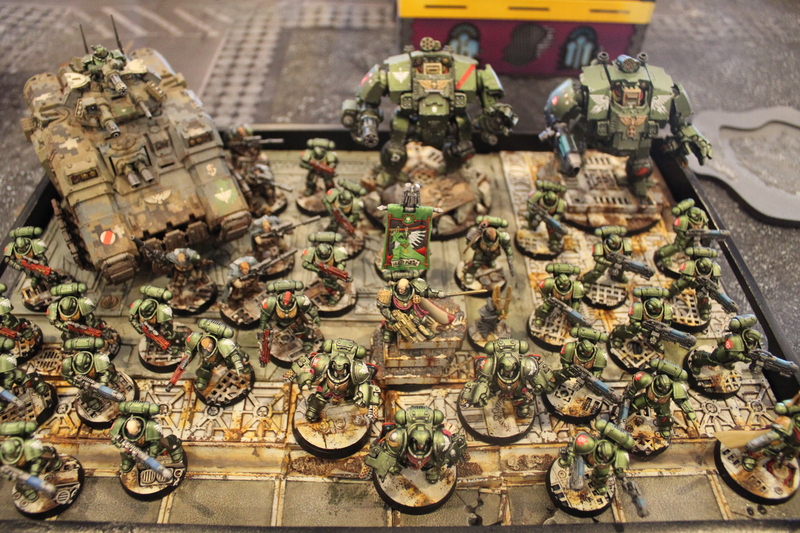 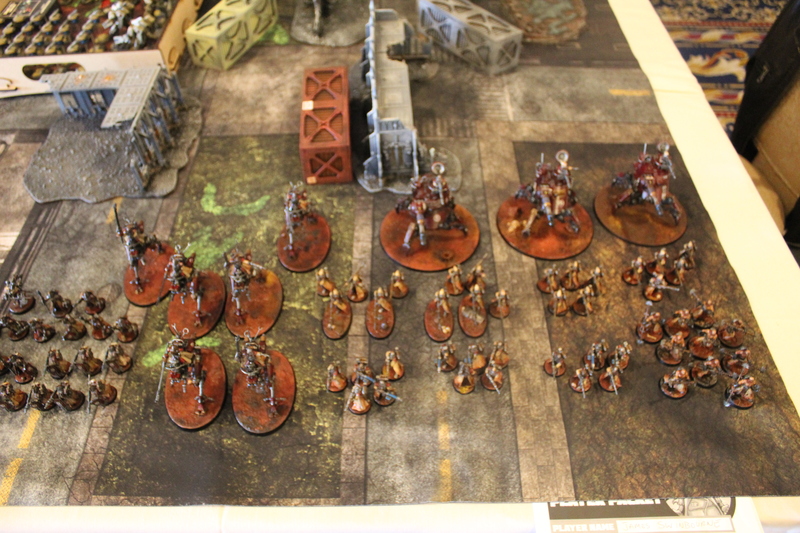 Overall, this was the best LVO ever and I don’t see any reason why it won’t keep on growing and getting better, some minor terrain upgrades and a few tweaks to the number of rounds and the event should be set for a bright future going forward.